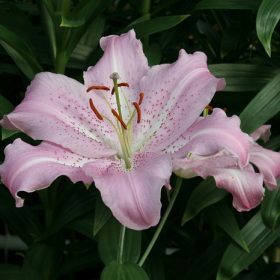 Anastasia produces flower that are a strong pink which turn to white at the edges. 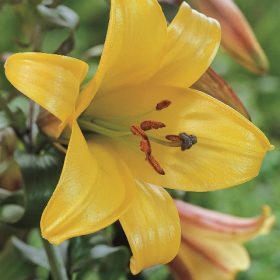 Performs well in containers or borders and for the best results plant in groups of 3 or more. 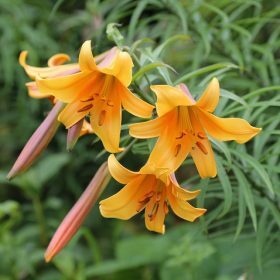 Apricot Fudge is a fascinating and unusual lily. 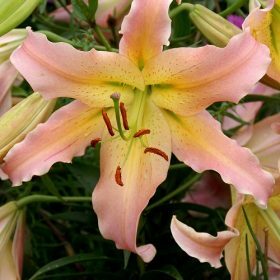 The rose shaped flowers are a salmon colour and look superb. 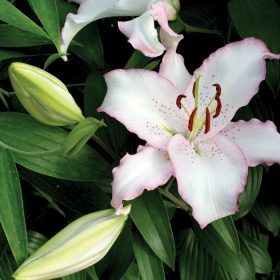 Lilies are good in containers and work well in borders. 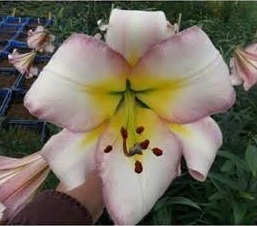 Beijing Moon has creamy white flowers with lightly flushed purple edges and yellowish centre. 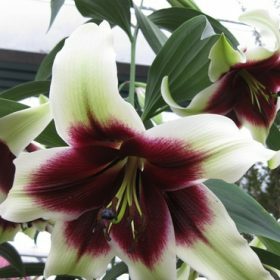 Like many lilies they are superb in containers. 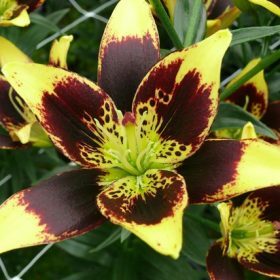 Specie lilies such as Black Beauty are great additions to the garden. 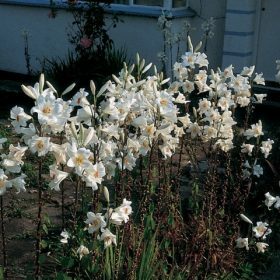 They are happy in the shady areas of the garden and will look stupendous if grown through herbaceous border plants. 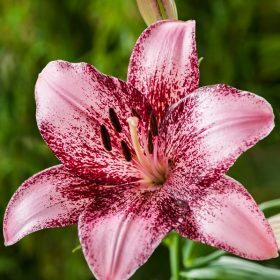 The fragrance of this lily is just wonderful. The flowers are pure white with the flower edges a deep rose pink. Brasilla is ideal to be used as a cut flower. Fusion has flowers that are re-flexed brick red with a yellow throat. 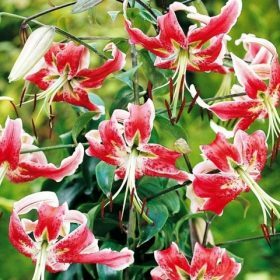 Lilies are amongst some of the most excellent garden plants as they can be grown in borders or containers situated around the house and garden. 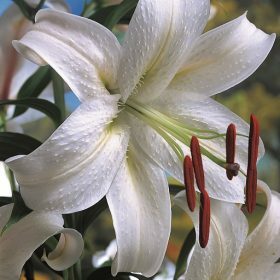 Lilium Indus is a pure white oriental lily which is very fragrant and a must for any garden. 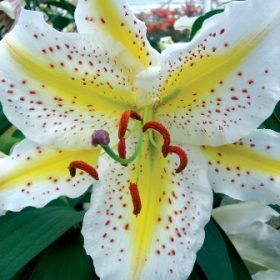 Lilies are very versatile and can be grown in borders, pots, patios and greenhouses. 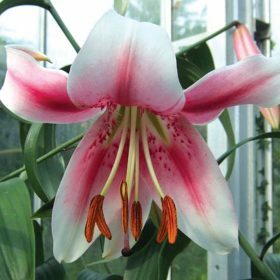 Lilium Josephine is such a lovely lily, the flowers are fragrant and a lovely rose pink with a white stripe on the petals and lightly spotted deep pink on the lower half of the petals.